In honour of the Offshore Technology Conference, each year, World Pipelines’ April issue includes updates from oil and gas pipeline companies working offshore around the world. In addition to the issue’s general offshore focus, a number of companies are invited to participate in the annual Offshore Technology Review, which offers insights into global offshore pipeline activities. Read on to see what Atteris has been up to. "Atteris – offshore technology review"
Engineering continues to be a key requirement of the offshore oil and gas industry. As a subsea and pipeline engineering consultancy, Atteris applies its expertise to all project phases – from concept to decommissioning – with the aim of delivering solutions that are safe, reliable, fit for intended purpose, cost-efficient and cost-effective. 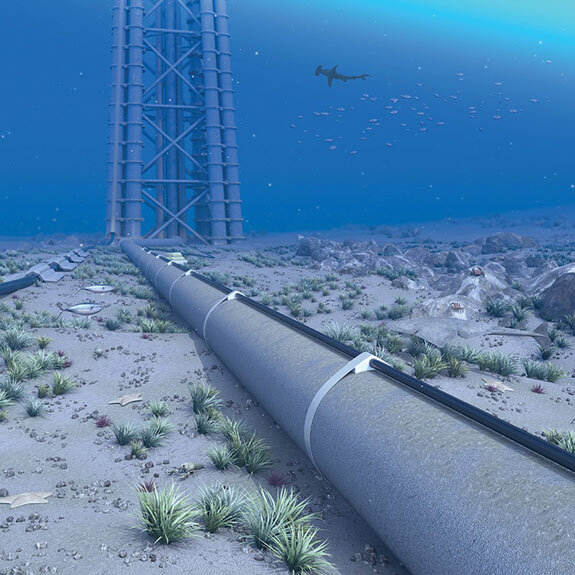 Recent years have presented a need for both change and improved efficiency in the industry, with several major work scopes coming from the operations phase of offshore and onshore pipeline systems. Atteris’ services have been utilised for engineering assessments and life extension, as well as both intervention and repair designs for pipelines, flowlines, umbilicals, risers and subsea equipment. The company’s asset and integrity management services have helped several offshore oil and gas and pipeline operators to realise OPEX savings through practical improvements to their integrated multimode receiver systems, practices and processes. Atteris sees the need for engineering support of future offshore developments in 2017. Having already undertaken a number of concept development studies, the company’s activity appears to be growing globally. As 2017 matures, Atteris predicts that it will continue to provide engineering services, including flow assurance, field development, pipeline routing and survey support for subsea developments, such as fixed and dynamic risers. Moreover, with a number of major Australian LNG projects moving into the operational phase this year, the company also anticipates further growth of its asset and integrity management business. In general, Atteris is optimistic about the future of the offshore oil and gas industry. Since there will always be short to medium term challenges to overcome, the ability to identify and quantify the challenges in projects early, adapt to change, create opportunities and deliver quality engineering, is key. The company’s strong focus on developing its people in order to deliver quality engineering has resulted in a company culture that is centred on client satisfaction. Thus, the professional development of Atteris’ staff is pivotal to the company’s success. Moreover, focusing on the overall value chain has allowed the company to meet the needs and goals of its clients in a time where the industry is experiencing major shifts. Atteris’ engineers are accustomed to integrate with their clients’ teams to achieve maximum outcomes. This approach has created efficiencies and enhanced organisational and engineering solutions. Additional information can be found on Atteris' website.